No, that not the "hint" above. That would be a full on reveal. The hint comes from the latest issue of Arcadia magazine, a Japanese publication focused on the modern day arcade scene. 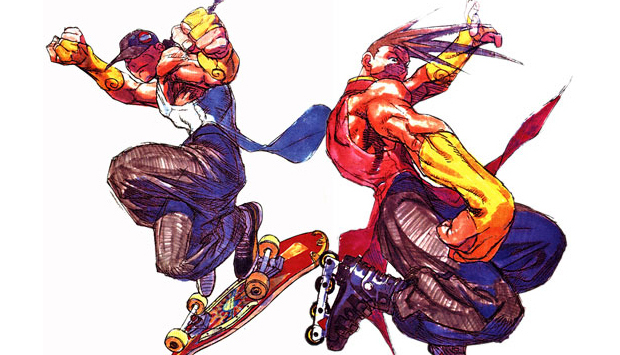 The scan shows the silhouette of a skateboard and a pair of roller blades set beside some text teasing future characters of Super Street Fighter 4 Arcade. That's a pretty big hint. Unless Capcom is planning to reveal two all new Streer Fighter characters that utilize these pedestrian forms of travel, then it's got to be Yun and Yang.